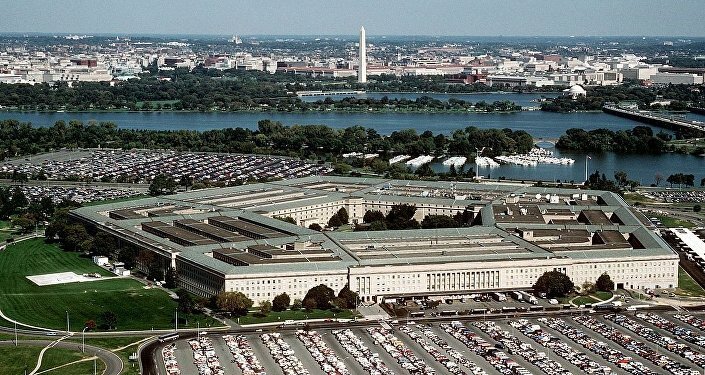 Although President Trump busted the claims of Russian collusion in the 2016 election campaign, this time the Department of Defense is set to take what they consider to be sensible precautions should “interference” take place. The US has prepped for a cyberattack on Russia if the country directly meddles in the upcoming midterm elections, a report from the Center for Public Integrity stated, citing unnamed current and former senior US officials familiar with the alleged plan. The report claimed that US military hackers had been given a green light to access Russian networks should the country unleash something more than “malign influence” on the elections, namely to “try to sway people’s opinion or the way people might vote,” the CPI cited a senior official, who preferred to remain anonymous, as saying. The “direct interference” would reportedly consist of attempting to fiddle with voter registration documents or in final vote tallies. The report underpins that the US is advancing its cyberwarfare capabilities, underpinning it with regular military strategies, while its intelligence community is becoming increasingly apprehensive over potential cyberattacks on the US. The reported plan was organized under a highly classified executive order lobbied and signed by President Donald Trump earlier this year, which eases the rules of deployment of digital weapons for national security, with the report stating that to this end no special approval from the White House or other government body is needed. "For any nation that’s taking cyberactivity against the United States, they should expect… we will respond offensively as well as defensively," John Bolton, Trump's national security advisor, told reporters in September. In late October, Trump vehemently denied media reports about the alleged wiring of his cellphones by Russian and Chinses intelligence services, presumably in an attempt to use the collected data to their advantage. “The story is soooo wrong!" Trump wrote on his Twitter blog. Separately, in Special Counsel Robert Mueller’s ongoing probe into allegations of collusion between the US president and Russia in the 2016 presidential election, Trump and Moscow have repeatedly denied the accusations of carrying out hacking attacks at the time, stating that there is no tangible evidence of it. The US president even called Muller’s investigation “a witch hunt.” Russian officials said the claims that Russia interfered in the US election were made up to excuse the loss of a presidential candidate as well as to distract public attention from such pressing issues as election fraud and corruption. Further addressing the issue, the US president said in an interview aired by CBS in mid October that he believes that China is more dangerous than Russia, in regards to "election meddling," thereby reiterating Vice President Mike Pence's words that China is doing its best to influence American public opinion in the 2018 and 2020 elections because, "Trump's leadership is working, and China wants a different American president."